Air conditioner compressor: a peek inside your AC unit • The Air Geeks, reviews of air conditioners, dehumidifiers and air purifiers. Although most of us are familiar with air conditioners and how to operate them, a good fraction of users have never had a chance of peeking inside an AC unit. At the heart of every air conditioner is a compressor that enables the system to maintain temperature within a desired level. So, what is the specific role of the compressor of your air conditioner? An air conditioner uses a refrigerant to gather heat from the air in your room. To circulate the refrigerant, a mechanism is required. The air conditioner compressor is the engine that ensures that the refrigerant is circulated under pressure to all the ducts of your air cooling system. This process involves transforming the state of the refrigerant in a continuous cycle. How does an air conditioner compressor work? When cool refrigerant at low pressure flows into the compressor, it is squeezed at high pressure. This process increases its temperature and energy .By the time the refrigerant leaves the compressor, it is hot and at high pressure. From the compressor, the compressed gas flows to the condenser. Most air conditioner condensers have metal fins to allow fast heat dissipation. In the condenser, the working fluid dissipates most of its heat. Its temperature goes down and it changes state from liquid to gas. From the condenser, the high-pressure gas flows to the evaporator coil where it helps to cool the air in your room. In the case of central air cooling systems, the compressor and the condenser are located outside the house. In case your air cooling unit is running but it is not cooling the air in your room, chances are high that the compressor has a problem. To ensure that the compressor of your air conditioner is performing optimally, you should keep it clean from debris, leaves, grass clippings, and so on. 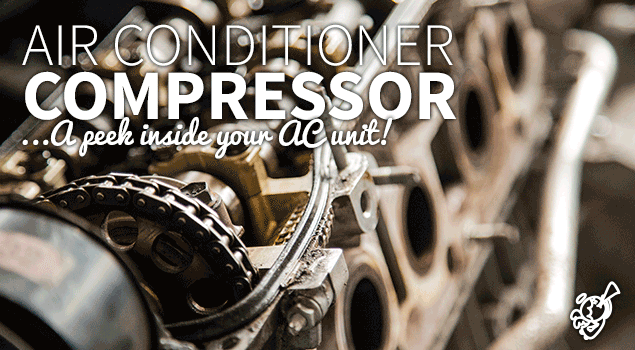 If your air conditioner compressor has stopped working, you should contact a professional. After analyzing the problem, the professional should advise you on the best thing to do. If the compressor is faulty, the first thing to do is to remove the refrigerant. After that, remove the compressor together with the orifice tube, receiver drier and expansion valve. Before installing a new parts, you should flush the entire system to remove all foreign materials. When all parts are clean, install the new compressor, orifice tube, and receiver drier. 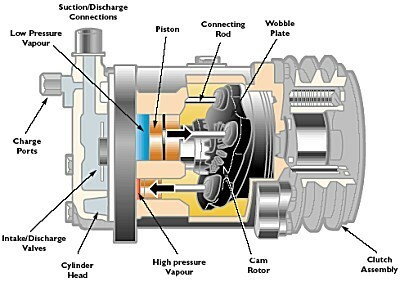 After replacing the faulty compressor, recharge the system and ensure that it is not leaking. If the system is not leaking, check to ensure that it is operating as expected. It is recommended to turn the system on periodically. This helps to prevent leaky seals and keeps the system lubricated.